Every spring in Canberra brings an invasion of insects and rodents that you need to deal with. Spring is the time of year when everything grows, attracting many pests to leave their hiding places. You can expect to see an influx of wasps, ants, termites, bees and other pests to be more active as they prepare for reproduction. They enjoy the sunshine and warm weather that spring brings as much as you do. 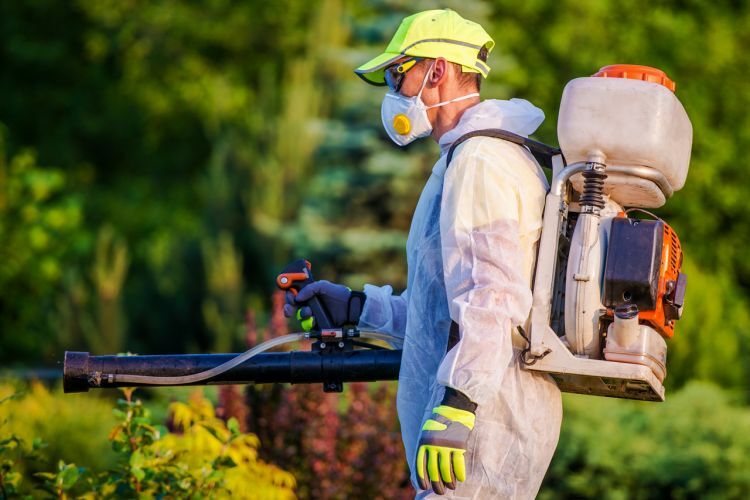 Here, you will find an overview of the most common pests that you will need to cope with this spring as well as some tips that you should include in your spring cleaning in order to prevent their infestation in your home. Wasps are some of the most common insects that start building their nests in early spring. They find ideal places for nests in and around houses and sometimes even underground. Their ability to sting multiple times makes them difficult and dangerous to deal with, especially when it comes to whole nests. This is why you should try and seal all openings inside and outside your house which could be perfect for their nesting. And, if you find a nest, the safest option is to hire a pest control professional who has all the required protective clothing and other equipment to help you get rid of these unwanted guests. Another pest that can be dangerous for humans and pets are bees. We also recommend you to call professional beekeepers as soon as you spot their nest. They usually nest in places that are hard to get to, even inside walls, and, if you are not experienced, you can easily be stung. Bees are also known as wood destroying pests, so, if not treated on time, they can cause some structural damages in your house. Termites and ants are the silent insects which can cause more damage to your homes than windy storms. They are attracted to soft, dump wood where they usually swarm and start new colonies. The first sign that your house is infested by them are small tunnels in wood surfaces which connect food sources. This is why, as a part of your spring cleaning, you should go through your kitchen cupboard and get rid of any stale flour, grains and spices. Make sure that you put the fresh ones in sealed glass jars as paper bags can be easily chewed up. Mice love to snack crumbs and other leftovers that can accumulate in hidden places in your kitchen over the winter. This is why your spring cleaning should also include moving all your appliances and cleaning and vacuuming the surfaces around and under them. Check your basement for any cracks or holes and seal them as they can be ideal spots for mice and other rodents squeezing into your house.